Apple events have become a bit of a bore in recent years, thanks to the continuous stream of leaks from its supply chain. This year’s October event took some journalists aback. Apple updated two of its languishing products — the Mac Mini and the MacBook Air — with new internals and design changes. For once, the fruit company gave people what they want, probably to end complaints from users. It’s not a coincidence (according to Rene Ritchie from iMore) that Apple also unveiled a completely overhauled iPad Pro, which comes in 11 and 12.9 inch variants. Apple refreshed two distinct computing lines — a legacy platform followed by its flagship tablet. Apple has clearly positioned the iPad as the future of computing — noting that its A12X Bionic chip is faster than ninety-two percent of PCs sold this year. The internal hardware is exceptional. Apple has the unique advantage of being able to develop its own silicon for its tablets. As a result, the A12X Bionic chips screams — rivalling Intel’s i7 series found in the MacBook Pro which is a considerably more expensive machine. The iPad Pro has USB-C — allowing it, in theory, to connect to a variety of devices. In his review of the iPad Pro, long-time Apple reporter Jason Snell sums it up in the title: “A computer, not a PC.” Snell points out that the iPad is a new thing, and it shouldn’t be compared to a PC. However, the pricing, the power of the processor, and its incorporation of USB-C (also found in the Mac) means “…Apple is sending a clear message: The iPad Pro is not meant to be a toy or a curiosity or an alternate device.” As a result, the iPad still needs to hold up its promise of being a laptop replacement, even if the path to get there is unconventional. The current situation in computing is uncomfortable. Apple has clearly created two divergent computer lines — the Mac and the iPad. The Mac has traditionally been the productivity-focused task monster, and in recent years it’s become more mobile. 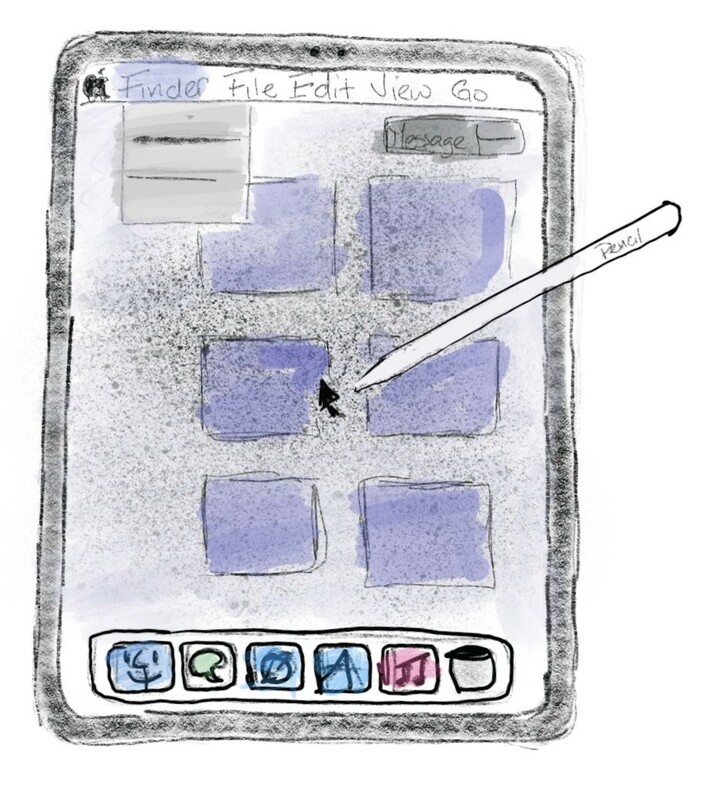 The iPad began as a humble middle device that balanced some productivity with content consumption. It was a companion device. The iPad is certainly easier to pick up and use for basic tasks. (Though, I would argue it’s more difficult to use for productivity tasks since the user must rely on an increasing number of non-discoverable gestures and features). On the other hand, there are other non-iPad devices that are killing it in education. Chromebooks are not traditional computers, but they have the look and feel of a laptop — albeit with ports and a file management system. Many K-12 institutions prefer Chromebooks to the iPad. The presence of a keyboard and pointing device is still superior for an environment that requires lots of writing. This would lend credence to the argument that the iPad — regardless of your view of what a computer should be — needs to offer a compelling typing experience to be a viable laptop replacement. His analogy of cars and trucks is more true than ever before. The iPad is a simple car that can do the low-level (simple) computing tasks. It’s overkill to use a laptop — the truck — for these tasks, but it will still exist for those heavy workloads. This is why the debate about what a computer is supposed to be is actually quite complex. People from a certain generation do have entrenched workflows that don’t translate well to a gesture-based platform like iOS. That might not be completely the case for people from a younger generation that grew up with tactile computing. However, the power of these devices — though remarkable — is hampered by an operating system designed for a phone. And, maybe that’s ok. 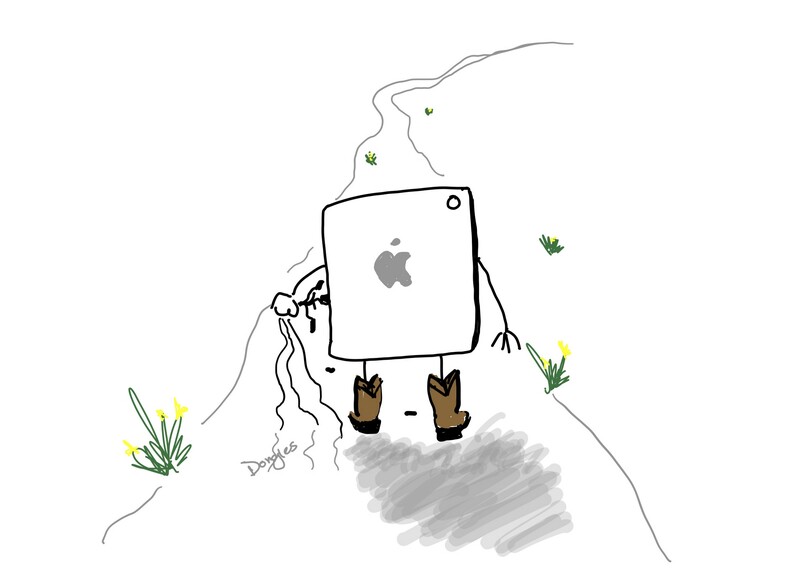 The iPad doesn’t have to walk the same path as the PC; tablets can forge a new path and be their own thing. Personally, I think they should. Originally published at www.tech-bytes.net on November 27, 2018.